Stephen Baxter is a multi-disciplinary artist living and working on the Gold Coast, Queensland, Australia. Stephen explores ideas and doesn’t restrict himself to one particular technique or medium to relay them. 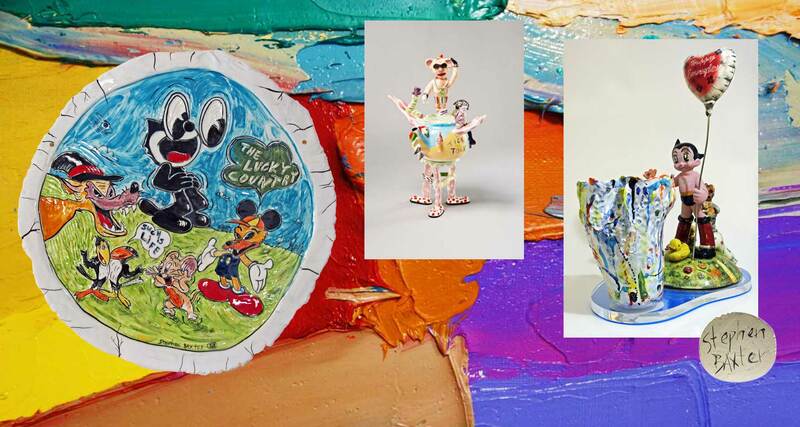 Predominantly he likes to make ceramics, sculptures, paintings, prints and videos. He deploys the strategy known as Bricolage while developing artworks. Stephen’s art practice is essentially, an evolutionary eclectic and quite often serendipitous handmade process. He likes to challenge what is traditionally accepted as the norm. Ongoing experimentation is essential to Stephen because nothing is set in stone and change is constant. He exhibits regularly and is available for commissions.